It is always news if the BBC introduces something new, as they are known to be a first mover in the market. Their iPlayer has been an example to a lot of other broadcasters, being one of the most prominent online platforms to use Flash. 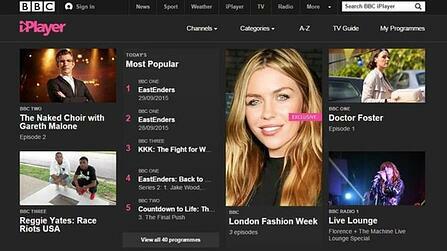 This week, the BBC's iPlayer was made available using HTML5, at the expense of Adobe's Flash player. Adobe's plug-in has been criticised by some security experts, who said it was a weak point of many sites. For this reason and probably other ones, like the adoption of new streaming protocols, such as MPEG-DASH, some browser manufacturers have diminished the support for the Flash plugins. Funny enough BBC News published an article about the decision of the BBC to move towards HTML5 on their website in the technology section, referring to a blogpost of the BBC itself. The BBC Media Playout department is "now confident [it could] achieve the playback quality you'd expect from the BBC without using a third-party plug-in" such as Flash player, according to James East. Safari on iOS 5 and above. BlackBerry OS 10.3.1 and above. Internet Explorer 11 and Microsoft Edge on Windows 10. Google Chrome on all platforms. However, the Flash version will remain available, as the BBC do not want to leave behind those users who cannot, or do not wish to, upgrade. The iPlayer team will be working over the coming months to improve the HTML5 player to match the abilities of the Flash player and to refine the functionality and design based on the viewers feedback. If you want to know more feel free to contact our team or simply visit our Demo Zone by clicking the button.